Department of Theatre Arts | All the world is a stage. We prepare you to take on the world. The Department of Theatre Arts at the University of Oregon serves a variety of students with a wide range of needs and interests. The faculty of this department are committed to a liberal arts approach to theatre education and to maintaining the highest standards both in academic pursuits and in performance. We deeply believe in the value of theatre as a form of cultural formation and communication as well as a pathway for personal growth. 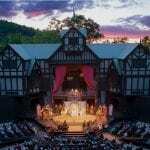 Would you like to attend the Oregon Shakespeare Festival for a very low cost? 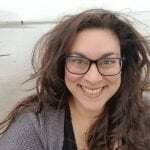 Thanks to the generous support of Carol Williams, Theatre Arts undergraduate students can participate in a Spring Break research trip to the Oregon Shakespeare Festival, in Ashland, Oregon. April 19, 20, 26, 27. May 3, 4 @ 7:30 p.m. April 28 @ 2:00 pm. 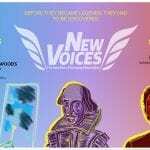 Hope Theatre New Voices is a Theatre Arts program dedicated to student play/playwright development. In 2019, “Smudge” by Meg Schenk and “Just a Shack in the Woods” by Connor French will be featured. An abandoned shack in the woods becomes a get-away for two kids who each need a spot to be alone. They build shared space and friendship starting from their first unexpected meeting in sixth grade.